Based on the renowned Marvel storyline of the same name, this latest installment of the Marvel Cinematic Universe brings together what seems like a partial Avengers ensemble in what is strangely intended, as is with the comics, as a standalone Captain America storyline. The plot revolves around the Avengers faced with the consequences of their previous battles and the responses by the world's many governments - leading to conflict between the heroes who choose to accept the repercussions and those who believe they are a necessary evil for the greater good. Civil War basically feels like a third Avengers film - or at least Avengers 2.5, as many are jokingly calling it. This isn't an automatic criticism at first glance; whilst it leads to some initial confusion when coinciding with the title, it can still work in theory. Sadly, for the majority of the film, it's not as ideally structured as it could've been - simply because the mixup of characters, many of whom are unnecessary, creates a series of tonal jumbles and narrative hiccups and makes what initially seems to a powerful story just overlong and overly complex for no justifiable cause. 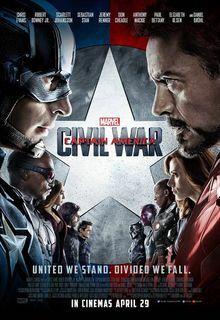 Civil War explores some deep themes, bringing a number of political allegories into the mix; not as original as some may think, but still a promising setup, particularly for this franchise. Sadly, at times, such themes are briefly explored and so lose any powerful effect they were going for, and at other times the film is somewhat patronising in how it hammers obvious points into the audience in, on some occasions, lousy attempts to be innovative. 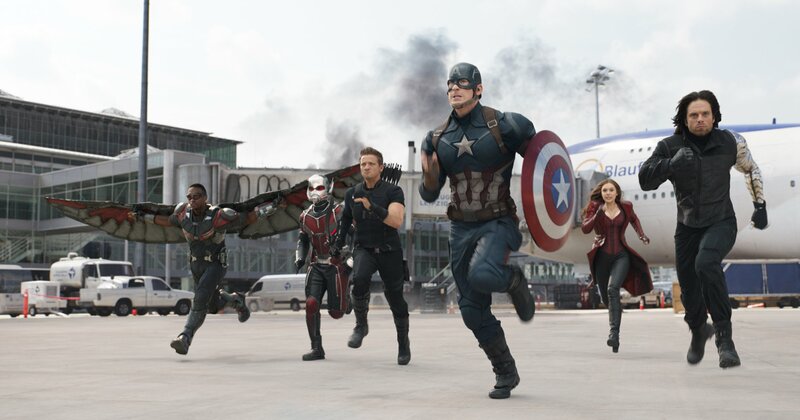 The balance of character development is also equally flawed, simply because there's too many of them stuffed into the script - whilst Captain America and Iron Man shine alongside some of the more interesting sidekicks like Falcon and Vision (sometimes), the onslaught of random intruders including Black Panther, Ant-Man, and, famously, Spider-Man feel segue and make it seem like the film was written by dozens of different people who had no contact with one another. Spider-Man himself appears for barely 20 minutes in an admittedly entertaining battle scene, and while Tom Holland provides a likeable performance as Peter Parker, his acting quickly morphs into something irritating and monotonous once he dons the spandex; indeed, the inclusion of this character feels like it was just a last minute decision fuelled by Marvel's sudden excitement at finally securing the film rights from Sony. 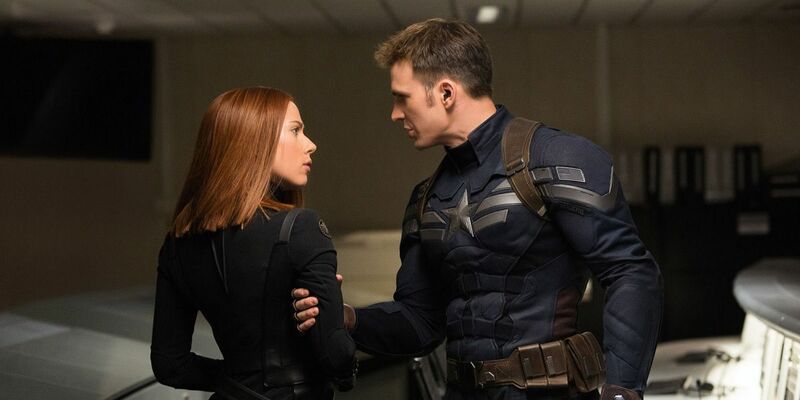 On a promising flipside, performances across the rest of the film are generally strong, particularly from Chris Evans and Robert Downey, Jr., though a number characters including Black Widow and Scarlett Witch, despite having reasonably talented actors behind them, suffer due to mediocre writing. Sebastian Stan as Bucky Barnes gives it his all, but he also suffers from being somewhat uninteresting, especially when the film obsesses over his eventually irritating importance. Civil War is not a bad movie - but it is a dull one. People will want to rip me apart for saying this, but for me this is just another disappointment, thanks to an unfocused narrative and way too many unnecessary characters. It leads to a film that, despite it's great cast, thrilling action sequences, and witty humour, is often boring and frustrating to follow, and I just didn't experience the same stellar effect it seemed to have on many others.